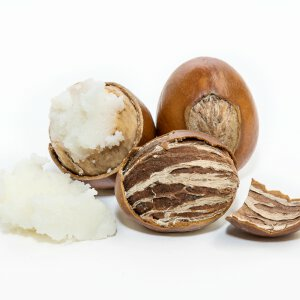 Shea butter is found in the nuts that grow on Shea-Karite tree, which exclusively grows in the tropics of Africa. It is extracted from the nuts of the Shea-Karite tree which begins to bear fruit after about 15 years. Shea Butter nourishes the skin with Vitamins A, E and F.